1Click’s live chat for websites has been a success on the web portal. However, in one of my article on the features of 1Click’s live video chat, I had written that 1Click’s live chat software is completely ubiquitous and device agnostic. This meant that the live video chat would not just work on a HTML5 compliant browser like Google Chrome and Mozilla Firefox, but would also work on Android or iOS. Providing the same service on both the web portals as well as the mobile phone increases service towards customers and improves customer support. And it is with great pleasure that we inform all of you that our iOS app, 1ClickRTC is now available on the App Store – a milestone successfully crossed. 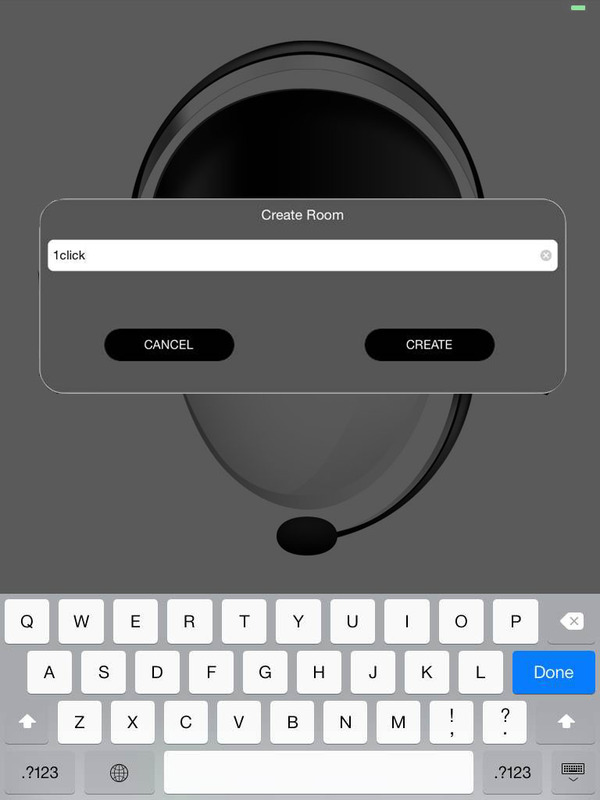 1Click’s iOS application is called 1ClickRTC and aims at providing all customers of the new Ipad and iPhone versions, with the ability to perform video call. 1Click’s SDK application enables both video as well as voice messaging, depending on the customer’s requirement and interest. Providing the customer both the options helps in improving customer support. With 1ClickRTC, we aim at providing developers with all the features required to provide customers with apps that enable amazing live video chat properties. So now all Ipad and iPhone customers can enjoy real time communication with their clients, thanks to 1Click’s 1ClickRTC application. To start with, the 1ClickRTC application is supported only by the 32bit eco-system for the time being. It will take some time for it to move to the 64bit eco-system. However, a 32bit application will be able to emphasis all the processing available on the new versions of iPad. The SDK application provides audio support and low resolution video to all the earlier models of Apple like iPhone 4 and iPad 2. The API of the application is designed to support lower versions such as a A5 chip of an iPad 2. However for the best performance by the application, one has to use it on the new models. Similar to 1Click’s live video chat on the web portal, the number of peer-to-peer chats at a time depends on the plan chosen by the customer. For example, if the customer has chosen the $15 per month offer, the customer can conduct a maximum of 4 calls at a time. However, if the customer chooses the $25 per month offer, s/he gets to make a maximum of 8 calls at a time. 1Click, however, offers a maximum of 12-15 calls at a time but for customers to receive this option, they have to choose the Enterprise pricing option. Just like the web portal, 1Click’s SDK application too enables consumption of bare minimum bandwidth. However, an advantage for customers using the application over phone is that the bandwidth is consumed only once the call gets connected. No bandwidth is consumed when the customer’s call is waiting in the room. Also, developers can configure conferences with various bandwidths. The bandwidth can vary from 512kbps to up to 1Mbps. This can also be further increased in the UI. 1ClickRTC offers a default resolution of 4:3 for the sending video stream. This resolution can be manually altered as well. If need be, however, multiple resolutions can be supported which can be specified at the time of encoding. The SDK application also enables pre-process of the video with motion detection and blurring. However this is not recommended as it will result in a bad video call experience. The SDK also allows for both front and back camera that can be switched during a call by using a switchCamera API. However it does not support the usage of an external webcam. The microphone can also be muted at any point during a call using the muteAudio API. Hence, we believe, this is a huge milestone crossed by our team. Do go ahead and try out the new 1Click iOS app available on the app store to enjoy face-to-face communication in real time. And we are pretty sure that very soon our iOS application too will be a success, just like our web portal live video chat. We, however, recommend Google Chrome in your mobile phone for an amazing video call experience. This entry was posted on September 16, 2014 by Deepthi Ramdas in video calling software for business and tagged Live Video Chat iOS Application.